Finmeccanica has entered into a strategic partnership with Russia’s publicly-owned Rosneft oil company and Russian government corporation Rostec: under the agreement, the HeliVert plant near Moscow, a joint enterprise between Russian Helicopters and AgustaWestland (subsidiaries of Rostec and Finmeccanica respectively) will launch production of medium AW189 helicopters, HeliVert currently produces medium commercial AW 139 helicopters (a lighter class) for Russia and CIS countries. 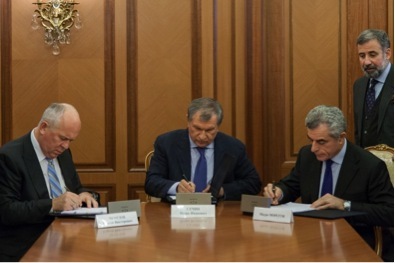 Rosneft, the world’s largest publicly-traded oil company, is joining the project as a new partner. 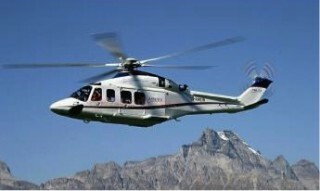 Rosneft is slated to become the first customer for the AW189. By 2025, the JVC Company HeliVert is due to produce and deliver 160 helicopters to Rosneft. A preliminary phase of the cooperation will see the introduction of a first batch of 2 AW189 helicopters, followed by additional 8 units, to allow the operator to familiarize with the new technology and to set up the needed and appropriate infrastructures to get ready once Rosneft is ready for full scale operations with the new model. “We are proud of this agreement – Finmeccanica CEO and General Manager Mauro Morettisaid – which provides further evidence of the modernity and competitiveness of our Family of new generation civil helicopters. The entry of the civil AW189 into the Russian market, following the success of the AW 139, is a major result for our strategy aimed at a further growth in a market which shows huge potential for helicopter operations”.